Ornament in form of jug. 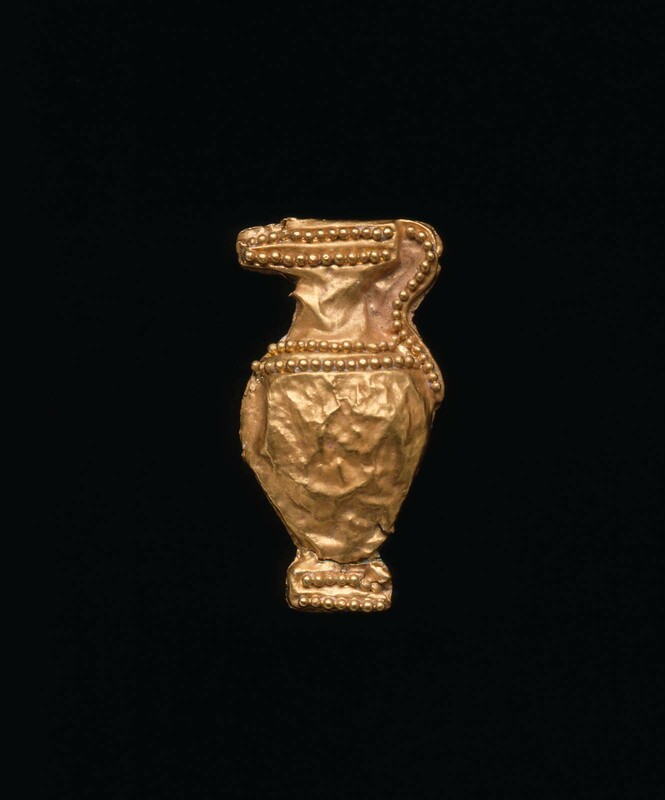 The ornament is flat; the jug modeled in relief on the front only. Decorated with rows of minute globules.